Learn About Baseball Mental Game Training, Confidence and Mental Toughness Here. Are you looking for some more that EXTRA EDGE & maybe even some more SELF CONFIDENCE , FOCUS some EXTRA mental toughness in your baseball game so that you can be the BEST BASEBALL PLAYER THAT YOU CAN BE? You'd Better Watch This Short Baseball Video RIGHT NOW! Does Sports Hypnosis For Baseball Work? 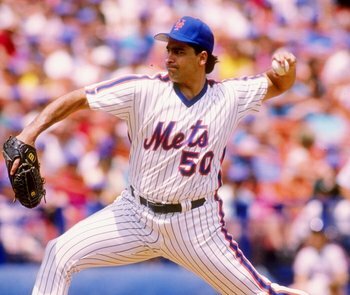 Sid Fernandez Won 16 baseball games for the New York Mets. Before he was hypnotized he said, "Before I never really did believe in my abilities & never thought I could pitch in the big leagues but here I am and I'm doing well. What Pete installed with hypnosis is no fluke." Sensations of power, positive expectancy, incredible levels of confidence so that when he was on the mound pitching there was a natural release of their power, skill and an automatic expression of the peak capacity that he had to perform. allows him to get more out of himself and magnify his power when he performs. And that is exactly what Sid did! It does not matter if you are a school kid who plays baseball and DREAMS of playing pro baseball... college player, minor leaguer player or a MLB Pro Baseball Player. This Program WILL Get YOU From Where You Are Right Now To Where You Want To Be. YES Even YOU! 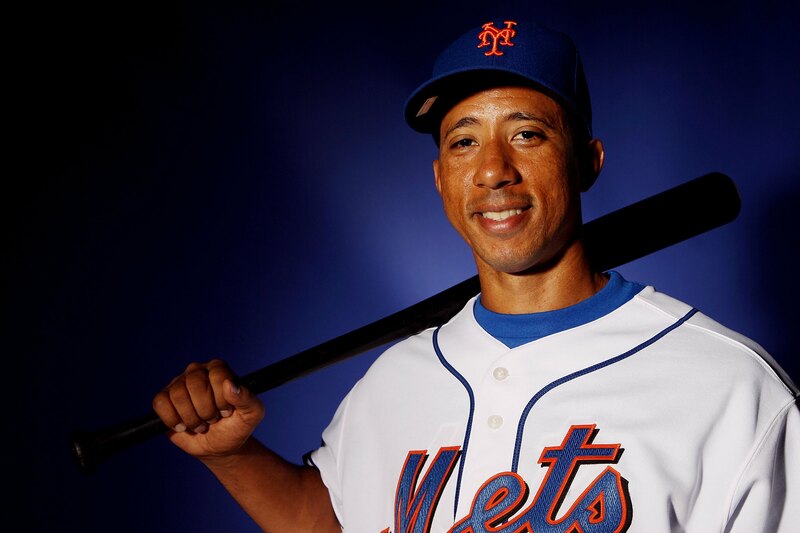 Who Else Wants To Play Baseball Like A MLB Hall of Famer? Finally YOU Can Now Discover The Closely Guarded Secrets That Top Major League Baseball Players Use To Turn Themselves Into Mega Successful Baseball Legends And Have An UNFAIR Advantage Over Everyone. With these secret mental game tricks they Get New Personal Bests, Hit Jaw Dropping Home Runs, Strike Out Batters, Dominate Their Competition, Make their Teammates Jealous AND Most Importantly Help Them To WIN! and (if you are a pitcher) striking guys out...over and over. So that you can live your baseball dreams! GUARANTEED! - Or You Get To See it for FREE! In Your Own Game And Propel Your Own Playing To A Whole New Level In Record Time! know about playing legendary baseball that you don't? You see, while most baseball players will spend countless hours on hitting drills, playing catch, throwing, pitching skills, buying new baseball equipment or going to baseball camp, almost NO ONE will spend any time or money on their MENTAL GAME TRAINING. The reason that they don't work on their, "mental game" is that mental game training is not shown on television. Its not sold in sporting goods stores, its not fun like playing catch or going to a batting cage and most baseball players don't really understand it. That is why so many baseball players are average at best. This is also why so many good baseball players play well at the high school and college level and then collapse under pressure in the major league or simply never make it out of minor league. Just ask any pro baseball player or coach and they will tell you. That is why the mental game training using hypnosis is such a well kept secret. Now you to can learn the same incredible results producing techniques that scores of baseball players have used to transform themselves from unknowns to starters, to competitive standouts and into ALL-STAR baseball players. These mental toughness techniques create amazing breakthroughs almost immediately. They help generate super levels of confidence, focus, competitive intensity, action power, drive to triumph, measurably increased speed and power. If you've got 59 minutes to listen to a CD OR MP3 before you head out to your next baseball practice or game you will know the baseball secrets that “elite” baseball players will pay thousands of dollars to learn this year... and that most other baseball players will not even hear about. I'm going to reveal to you the big baseball tips and secrets that pro high achieving baseball players use that allow them to strike out batter after batter, hit home runs, catch and throw with lighting speed and accuracy and achieve greatness in baseball. Game after game, season after season. With these EASY TO USE TECHNIQUES you will have the tools to propel your baseball skills into the stratosphere. Lets face it, staying focused, relaxed, feeling dominant thoughts of confidence, being aggressive and playing baseball ONE PITCH AT A TIME is hard. Noise from the crowd, chanting, booing, other players, opponents, thoughts and fears of making a mistake, failure, embarrassment, losing, coaches, money worries, plus stress, family, work, school. Negative thoughts about past mistakes, the wind, the field conditions... it goes on and on. All this leads to frustration, poor swings, throws, missed catches and overall poor performance. Yet your ability to remain FOCUSED and to be totally CONFIDENT, mentally tough and to trust yourself is critical if you want to play baseball like a champion. How many times during practice or a game have you felt or known that there was more within you then you were able to show on the baseball field? Have you ever wondered why your potential for greatness just stayed within you un-expressed? 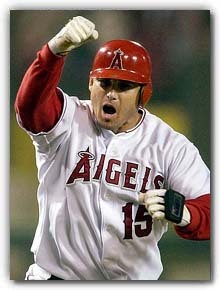 It is the difference between All-Star / Hall of Fame Baseball Players and everyone else. This is why top baseball players pay thousands of dollars to work with sports hypnotherapists in-order to master these mental game techniques. They know that the real leverage in baseball comes from mastering the mental game and not just the physical game. 1) Your mind controls your body. Just like a computer and a robot. All your body does is respond like a robot to the commands given to it by, "the computer." 3) The consequences of winning are tremendously financially and emotionally rewarding for a baseball player. 4) The consequences of losing can be financially and emotionally devastating to a baseball player. 5) 90% of your results are determined by your mindset and your mental game!!! Just ask any major league player who never got to start, kept getting traded or who got sent down to the minor leagues... or ask a minor league player who never made it to a major league team. Then these players will all talk about how they had trouble with confidence, focus, nerves and distractions and that even though they knew that they should play baseball “ONE PITCH AT A TIME” they just could not play that way because their mind would get caught up on something and that negative, wimpy, unsupportive thoughts would creep into their head and cause them to make stupid mistakes and how they would get frustrated or intimidated or get into a long slump that they could not get out of, no matter what they did. But still most of the struggling or average baseball players spend 100% of their time effort and money working only on physical practice. Again this is why guys get themselves into the major leagues and spend their career "warming a bench" or they collapse under pressure, fall into a slump and get traded and then get demoted to the minor leagues. Or why minor league baseball players stay there forever. they have NO mental game. That's why “Badass Baseball Secrets / Super Mental Toughness For Baseball Program” is the piece of baseball equipment that you need if you want the competitive edge in baseball. This amazing audio program is available to you on CD or Mp3 it is EASY TO USE. It is unlike anything that you have ever tried. Just listen at bedtime with or without headphones on. You will hear the gentle sounds of soft relaxing guitar and piano music playing in the background. Very quickly you will drift off into a wonderful dream like state of mind known as hypnosis. Eventually you will fall into a wonderful night time sleep. Meanwhile I will be speaking to you in a soft, soothing, relaxing voice. During this process I will guide you through a wonderful relaxation process called hypnosis where your mind opens up and records and accepts positive instructions, ideas and feelings about yourself as a baseball player which are all in your best interest (no matter what position you play) This positive voice and instructions for being a more CONFIDENT, FOCUSED, AGGRESSIVE but RELAXED BASEBALL PLAYER will eliminate the self sabotaging limited thinking and emotional garbage that holds you back. This program brings out only positive thoughts and feelings that literally force you from within to be the MAXIMUM YOU and PLAY BASEBALL AT YOUR ABSOLUTE BEST AND BE All YOU CAN BE EVERY TIME! Most athletes will notice a significant improvement in their game immediately and some will need more time however I suggest that you listen every day for 30 days and then the night before practice or a game. Either way , This powerful program will give you more confidence, laser like focus and more power then you've ever imagined. MAJOR BREAKTHROUGHS IN YOUR PLAYING! Here’s what this amazing baseball CD / MP3 will do for you starting the very next time that you play baseball. From the moment that you arrive at the ballpark. "get into the zone" and stay there! You will play baseball ONE PITCH AT A TIME! You will always maintain your concentration! You will always remain calm and confident under pressure! You’ll eliminate negative thoughts, fears and all self limiting beliefs and mental garbage that has been holding you back. When you are in the on deck circle and while at bat you will be completely relaxed, feeling only dominant thoughts and you will block out all distracting sites, thoughts, feelings, sounds of chanting and booing and all other distractions. When you are at bat you will relax, eliminate tension, fear, negative thinking and distractions that cause strikes and bad swings. You will feel total confidence flowing through your vains! When at bat you will feel superior to the pitcher! If you are the pitcher you will feel superior to the batter! If you are the catcher you will remain relaxed, mentally alert and aware of everything and confident and sure of all of your decisions. When you are at bat you will picture, visualize and feel exactly where the ball will go! At bat you will have both eyes totally focused on the ball! At bat you will see the exact release and the spin on the ball as it appears from the pitchers hand and you sill see it the size of a volleyball and you will immediately know what kind of pitch it is! You will know instinctively when to swing and when not to. You will have a smooth, powerful swing! Your running speed will increase and you will make great decisions. No matter what position you play you will remain alert, confident in your ability and your throwing and catching will be accurate. You will have an automatic trust in yourself and your abilities! You will always be mentally ready! you will AUTOMATICALLY PLAY BASEBALL ONE PITCH AT A TIME! Never the partial you, never the wimpy unproductive you. Always the MAXIMUM YOU! These hypnotic suggestions will train your mind to automatically cause you to play ball at your best each and every time. Your mental game will significantly improve and as a result you will take your physical game to the next level almost overnight. Why Should Trust This Baseball Training Program? From the Man Who's Extraordinary Training Breakthrough Helped Top Baseball Players Achieve An Unfair Advantage In Baseball For 30 Years. “Badass Baseball Secrets The Super Mental Toughness For Baseball Program” was created by a professional Peak Performance Coach! This incredible program has transformed the game of hundreds of pro, minor league, college, high school and even little league baseball players of all ages and skill levels. And it will work for you too, guaranteed. It was created by Chris Cady who is a Peak performance Hypnotherapist in Reno Nevada. The material on the program is based on the teachings of his sports hypnosis mentor Peter Siegel who for 30 years worked with all of the pro baseball players mentioned earlier in this letter. Plus he worked with top achieving athletes in every sport. Unfortunately Peter passed away. But before his death, Peter taught all of these incredible results producing techniques to Chris Cady and Chris is continuing Peter's work with this highly effective program. These are the exact techniques that he used with his pro baseball players. 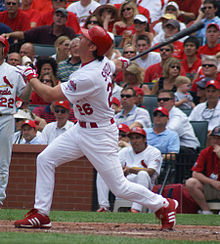 Here is a wonderful Example of how Mental Game Training Helped a Pro Baseball Player who worked with Chris Cady's sports hypnosis mentor Peter Siegel. Buy this Cd or mp3 before the special ends and you will get a FREE BONUS Gift worth $250.00 I know that as soon as you start seeing results in your baseball playing you will want more personal attention and even greater improvement. My normal fee for private consultation starts at $500.00 per session. As a FREE BONUS you will receive a 30 minute consultation with me by telephone. “Badass Baseball Secrets Super Mental Toughness For Baseball” is the piece of baseball equipment that you need to get you to the next level as a baseball player. All successful baseball players know that the mental game of baseball plays a huge role in the outcome of a game. Its the mental toughness that will separate you from the crowd. Considering how much that you love playing baseball and how much money that you spend for baseball in time, money, blood sweat and tears, the cost of this program could be a smart investment in reducing the last three. If you want to achieve your true baseball potential and consistently play ball at a level that you have only DREAMED about. Order this amazing baseball program now. You Can Try It Out RISK FREE! With A 100% MONEY BACK GUARANTEE! “Badass Baseball Secrets Super Mental Toughness For Baseball CD or MP3” comes with an unlimited, unconditional any time ever money back guarantee. It will be the best piece of baseball gear / baseball training program that you will ever use. No matter where you are in your game. We promise that you will significantly improve within the first week. You can measure this anyway that you want to. If you feel that you are not more focused, more confident then ever. If you feel that you are not hitting more home runs, running faster, pitching, throwing, catching with more speed and accuracy then ever before or if you just feel that this mental game baseball training program is a bunch of bull, simply return it ANY TIME EVER and we will refund 100% of your money the same day. NO QUESTIONS ASKED! There are no hassles or weasel clauses. All we ask is that you buy it with good faith and good intent. There are a million books and videos on how to play baseball. There has been very little quality information written about coaching and training the mental side of baseball. Yet this is the 90% of the game. The secret of how to play LEGENDARY baseball all lies within training your mind. So if you are interested in doing this I have the solution that you need. I will ship it or email you the download link immediately. Busts 2 Season Slump! Hits Home Runs! “Chris, as we discussed you can use my team name but don’t use my name or position until I tell you that I’m prepared to discuss this publicly. You may use the testimonial though. Count me in for helping you with your book but just protect my identity until further notice. Meanwhile, here is my partial testimonial. Our continued work together has helped me significantly both on and off the field. I recommend your mental game training to any player of any age or skill level as part of a regular regimen. I found out about you & your program when my dad gave me your website after you helped him with a private issue. He was sold on you being able to help me bust out of my slump. I was impressed by Peter Siegel’s videos & your background with him & I was willing to try anything. When we met, I was depressed & I’d had the worst 2 seasons of my career. I remember telling you that when I was “at bat” I was so unfocused & negative that, “struck out before I struck out.” The ball would come so fast I would just swing blindly & I felt like, “I couldn’t hit a basketball if it were on a tee ball stand.” I felt like (and was) an embarrassment to my team & to myself. feeling LIKE I WAS STRUCK BY LIGHTING. I WAS FULLY RECHARGED & FOCUSED & CONFIDENT! I studied my pitcher & for the first time in 2 seasons instead of feeling defeated, I felt CONFIDENT! Actually I felt, beyond confident. I actually heard the theme from Rocky playing in my head & got this feeling like I was not a baseball player but a boxer delivering a knockout punch. I just knew I would be victorious. As you promised, you “flipped the switch” in me because I felt as if I were in a dream where I had “flipped off” my negative, wimpy, failure thinking & had stepped into a superman suit. That day I brought the “BIG ME” to the game. Not the “little me.” I knew that I was, “IN THE ZONE” The next thing I knew, I’m up at bat and I heard an inner voice say, “CHUSH IT! HOME RUN!” I couldn’t hear the fans. I could only hear my heart beat. The bat felt lighter, the ball spun in super slow motion, so slow I could count the stitches, the baseball looked like it was the size of a volley ball, I don’t even remember swinging, but I heard CRACK & it was into the stands. HOME RUN! My dad said, “I told you it would work!” I don’t remember the drive home. I slept the best I’d slept in years that night. The next day we again worked on, “The Mental Breakfast of Champions” & I had the same experience & another home run. The rest of the season was great for me for me ( stats removed) & I consider you an excellent investment. I could go on and on but then whoever reads this will figure out who I am & I’m not ready to discuss this yet publicly. SLUMP OVER! I AM BACK!!! (Name deleted)________ MLB TEAM deleted for now. is within training your mind using hypnosis. The mental game is 90% of the game. They are the same program. We are just changing titles & covers so we left them there for your entertainment. Fear, Anxiety, Doubt, Distractions, and Nice Guy Behavior. The breakthrough cutting edge mental conditioning program that makes baseball players go from ordinary to extraordinary and gives you the WINNING ADVANTAGE that CREATES CHAMPIONS AND WINS GAMES! I will ship it anywhere you want. World wide every day. THIS IS WHAT WINNING A BASEBALL GAME LOOKS AND SOUNDS LIKE!!! The video clip of the baseball game above was sent to me by the father of one of the baseball players on the team that WON! His son and other players started using my hypnosis program to help them with confidence, focus, hitting, consistency and more. THE MENTAL GAME OF BASEBALL IS WHERE ALL OF THE LEVERAGE IS! USE IT AND WIN!!! Using Hypnosis and Visualization as part of your physical warm up. that you will learn in this program. with Baseball Sports Hypnotherapist Peter Siegel. Thing got even better after that! For Greater Confidence, FOCUS and more! baseball program covers or titles caught your eye. They are the same program. We are just changing titles and covers. both with his dad & with Hypnotist Peter Siegel. Just how important is the "mental game of baseball?" that the Mental game is 90% of the game. & by phone when traveling. "I have thanked God for putting Pete Siegel & his baseball hypnosis system into my life. that you paid. I elaborate on this below. NOTE: To Parents of baseball players. I get emails & calls every day from parents who are buying this baseball program for their son who plays high school, college or minor or major league baseball & they ask: "Can you email the download directly to my son? And, can he play it on his phone or Ipod, computer or Ipad? I can email the download to any email or you can simply forward it to your son. Or if you want the CD instead I can send it anywhere. Just put the email or address in the "notes area" of your paypal order or send me an email or just call. We are a small company of 2 people. Working with me is like doing business with a small family owned business where the owner knows you personally. We take care of people and we will take care of YOU too. We are HAPPY to do it. Oh, one last thing, about our refund policy. Our CDs & books are fully refundable minus shipping & handling. Downloads, E-books & Mp3s are non refundable because you can't return a download. this AWESOME BASEBALL PROGRAM WORKS!!! All MAJOR LEAGUE BASEBALL PLAYERS will tell you that. The "mental game" is 90% of the game. As long as a baseball player has "talent" and will work HARD and he "wants it," This program will help a player go from where he is right now to where he wants to be. He will focus, relax, stop over thinking everything, learn to "bring on the zone" on command and play at his FULL potential by focusing the power of his subconscious mind and training his "mental game," which he has probably never done. We both know that your son has talent & has put in countless hours of hard work with physical playing, drills, workouts etc. But working on the "mental game" using hypnosis and other mental game training drills is something that most baseball players never do until they start having some sort of setback, or slump. As a result of working on your "mental game" of baseball and not just his physical game, great "breakthroughs" happen and guys play at their FULL potential. The mental game is 90% of the game. Soon you will experience this too. Just look at our list of major league baseball players.